It's pretty simple really. 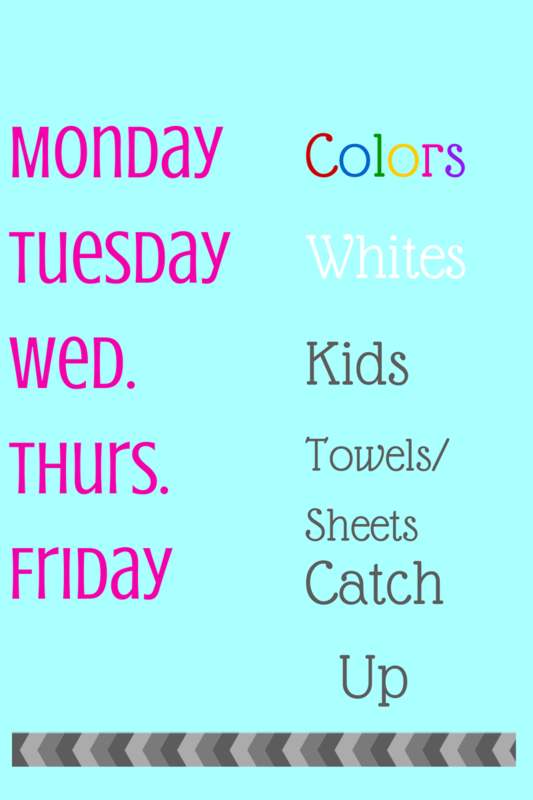 Each day of the week, I do whatever laundry is in line for that day. I set the basket that needs washing at the top of the stair the night before so that I see it in the morning. First thing in the morning, I put a load in. By the time I go to bed that night it has to be put away. Seems easy, right? The hardest thing is getting started. Once I get in the routine of doing this, it's just second nature. And most of the time I have it folded and put away by mid-afternoon, but there are those occasional nights I'm getting it done right before bed. That is ok with me, as long as it is getting put away, because that is the part of laundry that I'm worst at! I also love this system because it gives me the weekend to not have any laundry to worry about. I used to spend all weekend doing laundry sometimes, but now I just get to enjoy my family! 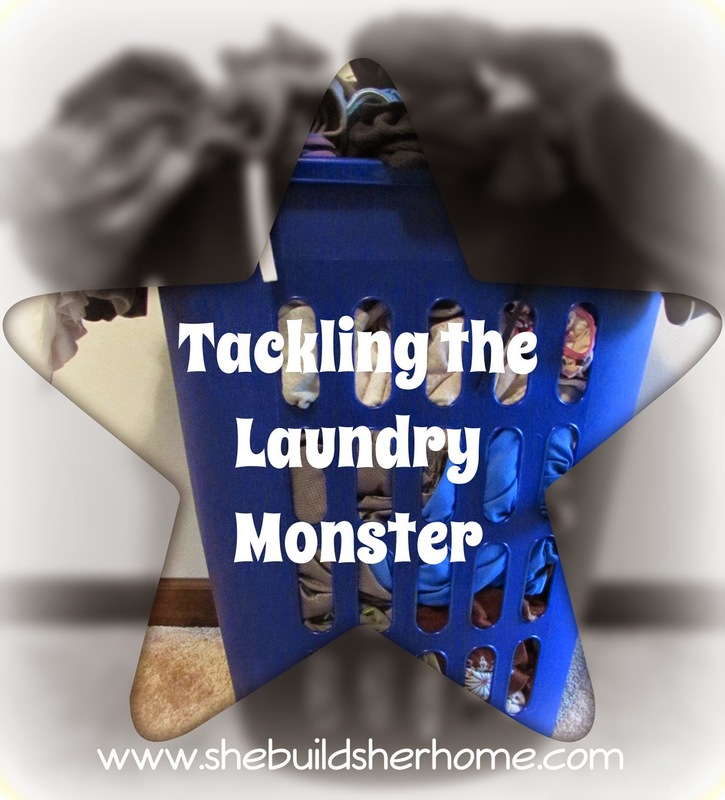 Do you have a laundry system that works out well for you? Interesting. I always love to see how people do laundry. Does this mean you have different hampers for each load? We just have 1 hamper per room so it would be a pain/a mess to sort it upstairs I think. I do ours on Thursdays usually. Usually all of it aside from sheets/towels/bibs which I just do as needed. I wash our clothes with the kids clothes and only keep the under 1 year of age babies separate (due to a different detergent). Our machines are on the main floor so I just throw everything down the stairs and sort it there. It's usually 4 loads.